Scrubsmag.com, Do experienced nurses really eat their young? :"I have lots and lots of opinions on this issue, having graduated a few years ago and having served as a preceptor to new RNs frequently. As a nurse, we should all strive to eradicate the adage about experienced nurses "eating their young" because we were all there at one point. Most hospitals have orientation periods for new graduates that concentrate on pairing the new nurse with more experienced nurses for days to months at a time before they are left to care for patients on their own. 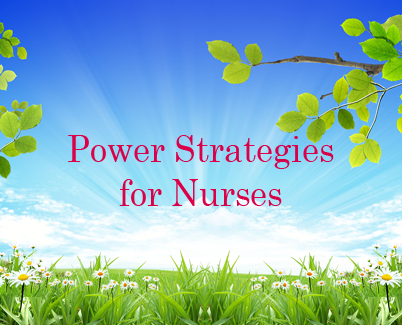 As a nurse alongside a new nurse- even if you are not directly precepting them- be sure to seek them out for unusual procedures that may be done on the floor so they can watch. This will only benefit the floor in the long run." Scrubs123.com:"Scrubs123.com is owned and operated by Medline Industries, Inc. Medline is the nation's largest supplier of scrubs. As both a manufacturer and online retailer, we can provide you with prices below what you'll find elsewhere for high-quality fashion scrubs and accessories. A great price is not worth much unless it is paired with a fashionable look and quality construction. At Scrubs123.com we feature only top of the line quality manufactured to our exacting standards. At Scrubs123.com you won't find all scrubs available in today's marketplace, only the BEST! Scrubs123.com offers Medline, Peaches, Dickies and Cherokee scrubs and uniforms." Search Engines (General) on: The Nurse Friendly! Second Ten Commandments (The):"1. Thou shall not worry, for worry is the most unproductive of all human activities. 2. Thou shall not be fearful, for most of the things we fear never come to pass." Secretary (New), Doctor's Jokes, Battle of The Sexes Humor:"Dr. Johnson got himself a new secretary. She was young, sweet, and very polite. One day while taking dictation, she noticed his fly was open." Sectral, acetbutolol, Beta Blockers, High Blood Pressure Pills, Antihypertensive Medications, Hypertension:"This medicine is a beta blocker used to treat high blood pressure and an irregular heart rate." Complain of the noise and the play." Senior Care Solutions, Angela M Rowe, RN, LNC, GCM, Alabama Nursing Entrepreneurs:"Senior Care Solutions provides Geriatric Care Management Services to aging adults and their families in Central Alabama. Our goal is to help seniors and disabled individuals to obtain the assistance they need to maintain safety, dignity, and quality of life. Senior Care Solutions provides advocacy, evaluation, education, and support services to seniors in Alabama." Senior Citizen Humor, Pharmacy Jokes, Wedding Registry:"Jacob, age 92, and Rebecca, aged 89, are all excited about their decision to get married. They go for a stroll to discuss the wedding and on the way they pass a drug store. Jacob suggests they go in."